Part 1 of the history of the Chinese tryst with the cryptocurrency industry. China has always been a focal point in the realm of cryptocurrency and blockchain technology. From being the once hub of cryptocurrency exchanges to the mining center of the world, China has seen its dominance in the decentralized currency game decline due to the iron fist of the ruling Communist party. With the country’s macroeconomic policy agency tabling a possible cryptocurrency mining ban, citing extensive energy consumption, miners in China could disappear from the surface. It should be noted that the National Development and Reform Commission’s [NDRC] amendments are under “public consultation,” until May 7. This is perhaps the single most important piece of regulation that will directly have an impact on the price of Bitcoin [BTC] and the overarching market, sending tremors not just in Asia but throughout the world. Many analysts opined that the price would actually benefit from the ban, despite there being an inevitable mining decline. Prices may see an after-shock, either positive or negative if the ban does go into play, but this will be temporary. Myopia is a thing of the past, especially if the cryptocurrency market wants to be seen less as a volatile backwater financial asset and more of a mainstream store of value that can hold its own. Stepping back from the face-value of the ban, the collective market has endured a China crackdown in the past, and its resolute nature can hold in the future. No doubt, regulation coming out of Beijing can be a catalyst or a deterrent for the market, but from a larger perspective, the crypto-market can withstand the Chinese Dragon despite the dominance of the Asian market. Given the imminent rise or fall, it certainly pays a dividend to look at the previous cases of China’s intervention in the decentralized currency realm and the reaction to the same. Can the Chinese Dragon hold the cryptocurrency market hostage, or will the Chinese whisper slowly fade away? The notice relegated Bitcoin to a “virtual commodity that does not share the same legal status of a currency,” adding that it should not be “used in the marketplace as a currency.” The PBoC re-definition could as act a cautionary note to government loyalists to step-away from the cryptocurrency market, despite the early stages of its growth. This regulation flies in the face of earlier statements made by the PBoC deputy governor, Yi Gang, who said people should be allowed to participate in the BTC market freely. Bitcoin, then in its infancy, trading under $250 a month prior to the announcement, saw a massive surge leading into December 2013. A few days prior to the December 8 announcement, the top crypto broke the $1,000 barrier for the first time, touching $1,150 on December 4. Post the announcement, a drop was witnessed to under $700, following which the BTC price managed to sustain at $800 till February but ended up closing 2014 at just above $300. Given the fledgling market, valued at under $15 billion at the time of the announcement, the Chinese regulation did not spur a market downturn, with the collective market cap averaging around $6 billion for the year, a significant rise from mid-2013, when the collective market cap averaged under $2 billion. In 2014, the PBoC began putting together a team to conduct research on digital currencies with the objective of launching their own cryptocurrency to rival Bitcoin. Despite the news surfacing only in January 2016, PBoC was reportedly in consultation with financial giants like Citibank and Deloitte on the prospects of a central-bank issued virtual currency. Sources noted that the digital currency should be curated to have ‘economic, convenience and safety principles’ as a priority, in addition to being cheap and allowing easy implementation among citizens. The sovereign crypto would also severe as a deterrent against tax evasion and money laundering claimed the PBoC. 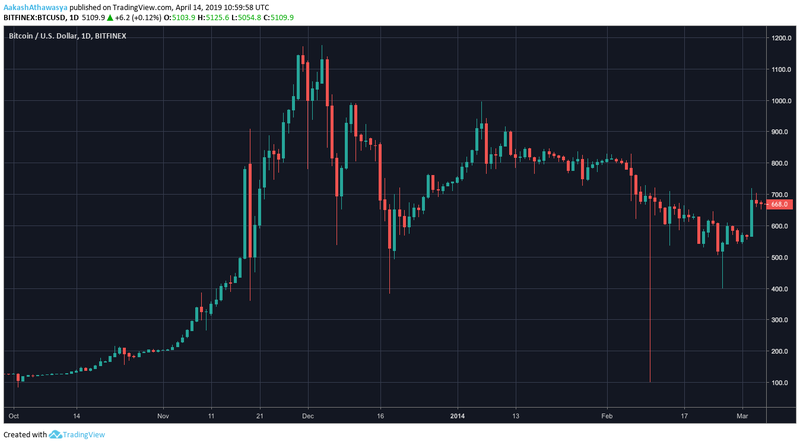 2015 was indeed a forgettable year for the cryptocurrency market, barring a $3 billion ascendance in November, the market held steady under $4 billion. The penultimate month’s rise was wiped clean by the close of the year. Prior to the revelation of a Bitcoin-rivalled-yuan-pegged central bank cryptocurrency, the market traded at $6 billion. A $700 million top-up was witnessed following the announcement, with a direct tie being debatable. However, three days later, by January 23, the market cap dropped to $6.53 billion. 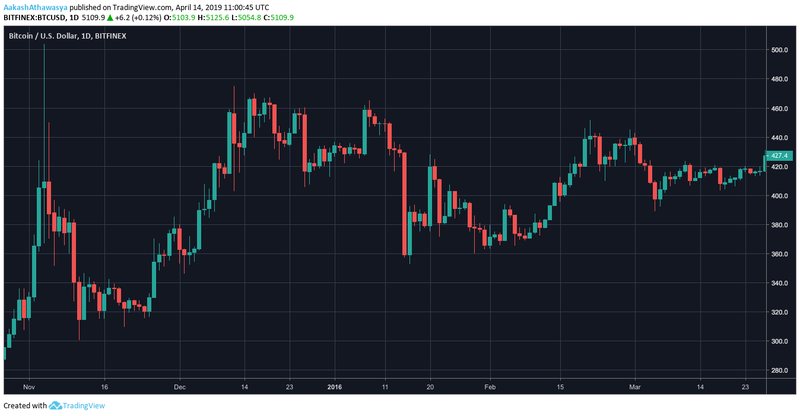 The price of Bitcoin saw a mild increase as the announcement was made, but nothing too prominent, especially in light of its July 2016 rise, which saw the coin increase by 78 percent from its price at the beginning of the year. Part 2 will discuss the attack on cryptocurrency exchanges and communication cells within the country.